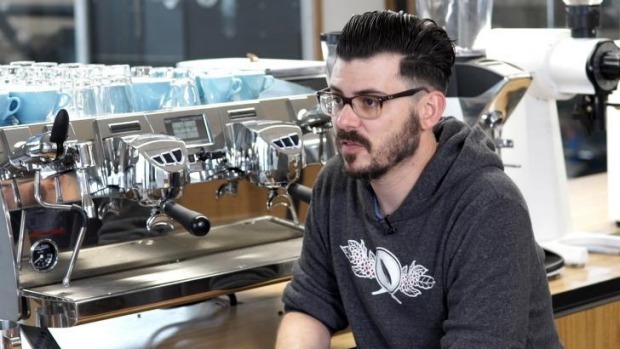 Craig Simon is a two-time Australian Barista Champion (2014 and 2012) and the head of research, development and innovation at Veneziano Coffee Roasters in Melbourne. 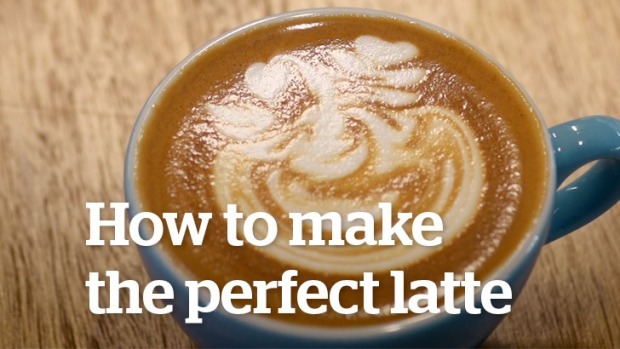 Here are his tips for making a great latte at home. The machine: You can spend anything from about $200 to $6000 on a domestic espresso machine. ''Work out how much money you are prepared to spend on an espresso machine and then learn how to make the most of it," says Simon. Factor a good grinder into your budget also. 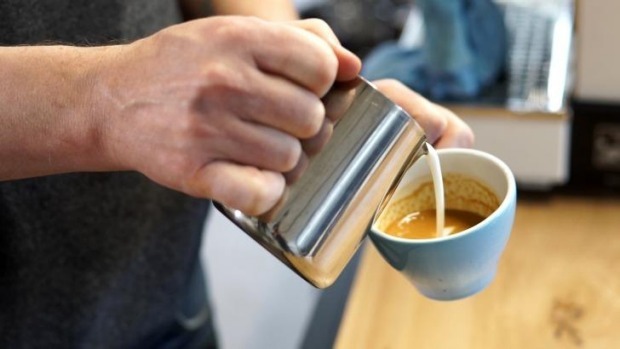 When it comes to milk-based coffees, it's worth splashing out on a machine that has separate boilers for the coffee and for the steam; you'll be able to switch straight from making your espresso shot to texturing your milk and you're less likely to get a watery milk from the steam wand. Wet steam, a common problem with inferior machines, increases the volume of the milk without adding texture (creaminess) so you just get lots of hot milk. 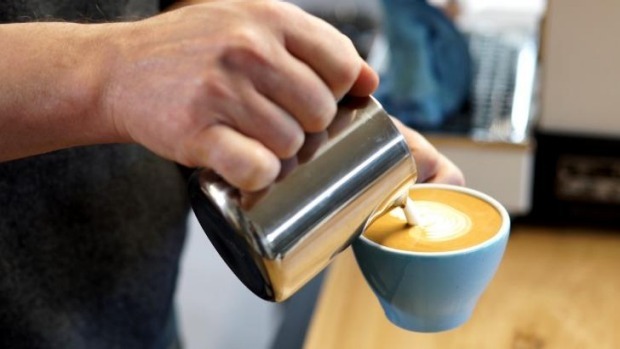 The beans: While the quality and freshness of your beans is important, Craig Simon says it's vital you grind the beans just prior to making your latte. "Once coffee is ground it oxidises and begins to lose flavour." Espresso recipe: To make a great espresso shot you need to control the speed that it pours. You do this by accurately measuring the correct weight of coffee grinds; a good starting point is 20 grams. You then control the speed of the flow with the grind size. The aim is to extract 30mls of espresso in 30 seconds and this is controlled by adjusting the grind size. The finer you grind your beans, the slower the espresso shot will pour. The coarser you grind your beans, the faster the espresso shot will pour. The espresso shot is the flavour of the coffee. Taking the time to make the espresso shot taste good will make your espresso taste better. The milk: Fresh full cream milk straight from the fridge is best. Craig Simon prefers commercial style brands (e.g: Pura) to boutique milks, which he finds overpower the coffee flavour. "I like a nice, creamy milk so the coffee is the hero." Full cream is best. It has more fat and is more elastic and will texture better when steamed. The fat proteins in full cream milk bind with the air to create that lovely latte texture. All milks can be textured, but the proteins in skinny, soy and nut milks tend to fall apart more easily and can result in your latte "splitting". Texturing (or steaming) the milk: Texturing is when air binds with the milk for a creamy texture. Firstly, make sure you're using an appropriate milk jug; a single or double-cup jug for home should suffice. Now, begin texturing by placing the steam wand into the milk just below the surface. Turn on the steam wand. The milk should begin to spin (a bit like a whirlpool) and you should hear a fine, hissing sound. As the air is incorporated into the milk the volume will expand. Slowly keep lowering the milk just to keep the steam wand at the same level relative to the surface of the milk. Continue spinning until the milk reaches 40 degrees (just more than body temperature warm). Then, lower the wand deeper into the jug to heat the milk a further 20 degrees. The milk is at about 60 degrees when the side of the jug feels almost too hot to touch. This is the right temperature for your latte. A latte should be immediately consumable. It's too cold if it tastes overly dairy and fatty. If it's too hot it may taste bitter and you might get a tingling sensation on your tongue. Bitter coffees are more often the result of over-heated milk than of coffee running too slowly through the espresso machine. Latte art? See video above, or this video from Sydney's Grounds of Alexandria. Lattes versus cappuccinos: Traditionally in Italy a cappuccino just referred to a small cup (ie: lattes were just bigger.) Now in Australia a cappuccino means a 240ml cup, lots of foam and chocolate sprinkles. The sprinkles were traditionally used to cover up the taste of a poorly-made coffee.